14'' Sitting Santa In Fur Coat with Xmas Tree and Basket by Roman at Two Clock. MPN: 32628460. Hurry! Limited time offer. Offer valid only while supplies last. 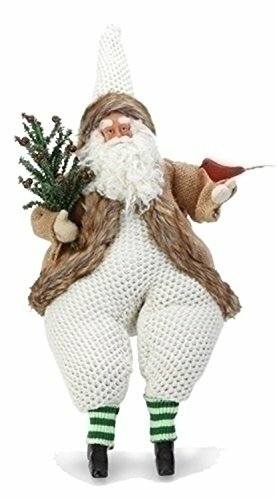 From The Home Decor Collection Add this sitting Santa in fur coat with Xmas tree, bird and basket figure to any home decor. Comes individual boxed.